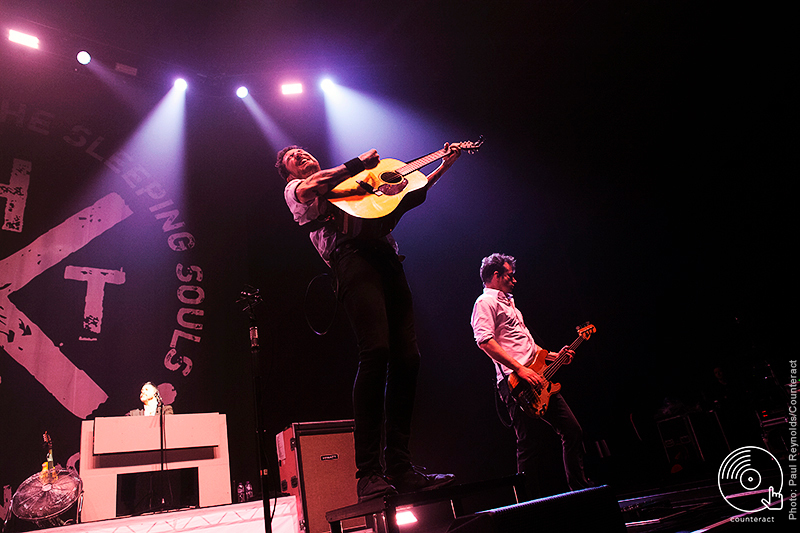 Frank Turner and the Sleeping Souls opened their UK Tour at Arena Birmingham on January 22nd, with Turner instigating plenty of crowdsurfing, moshing and even a dance with one lucky young lady. 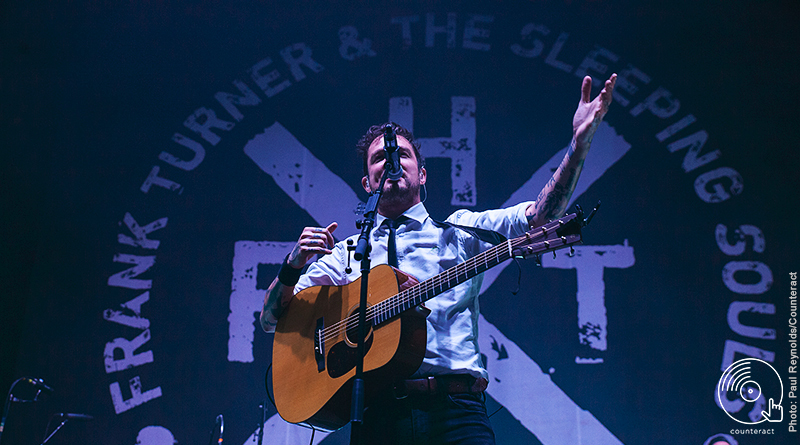 An evening of celebration, nostalgia and euphoria was set for the evening where the folk-artist Frank Turner kicked off his seven-date show tour in Birmingham. 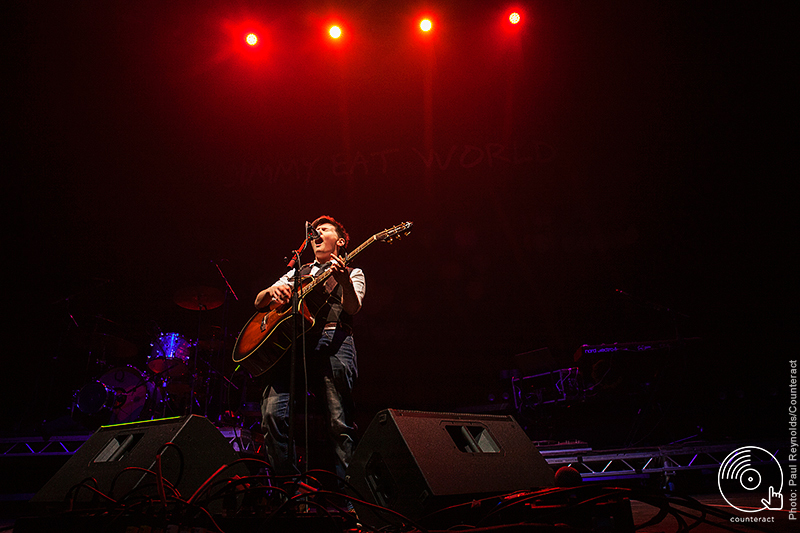 Opening the night was Leicestershire folk-singer and talented songwriter Grace Petrie. Having ticked playing her first arena show off her bucketlist, Petrie wowed the crowd with her stunning guitar riffs and cleverly written songs, including her most divisive song ‘Farewell to Welfare’. Petrie is not shy when it comes to talking about politics, or addressing modern first world problems as she confesses that “If you’re a Tory, you’re not going to enjoy the next 25 minutes.” Given her liberal lyrics and compassionate outlet, if being behind the mic becomes a chore, it would be nice to see her in the House of Commons or even at number 10. 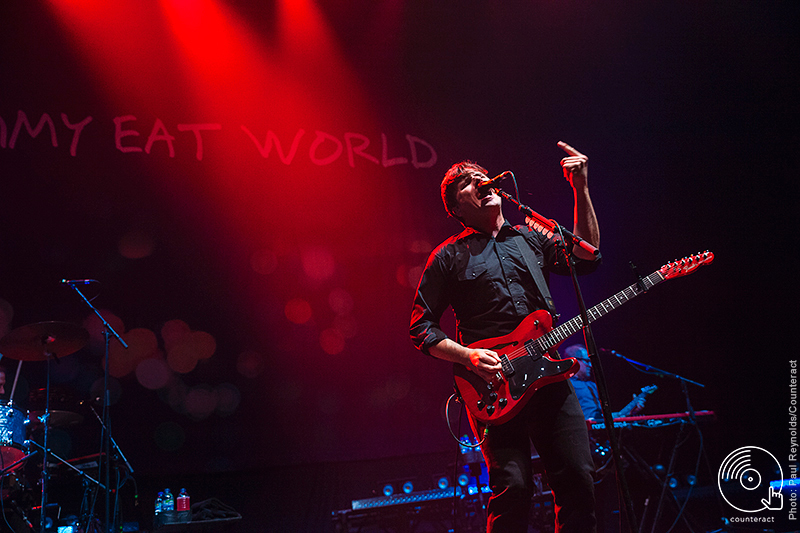 Next to the stage, all the way from the USA was the iconic rock band Jimmy Eat World. Almost immediately, Adkins let his southern drool flow by greeting the crowd with a “How y’all doing?” Neon orange flashes of light and impressive bass lines were lined up for this band. As an experienced band on stage, the boys combined both rock and pop sounds, uniting their fans both old and young since the start. 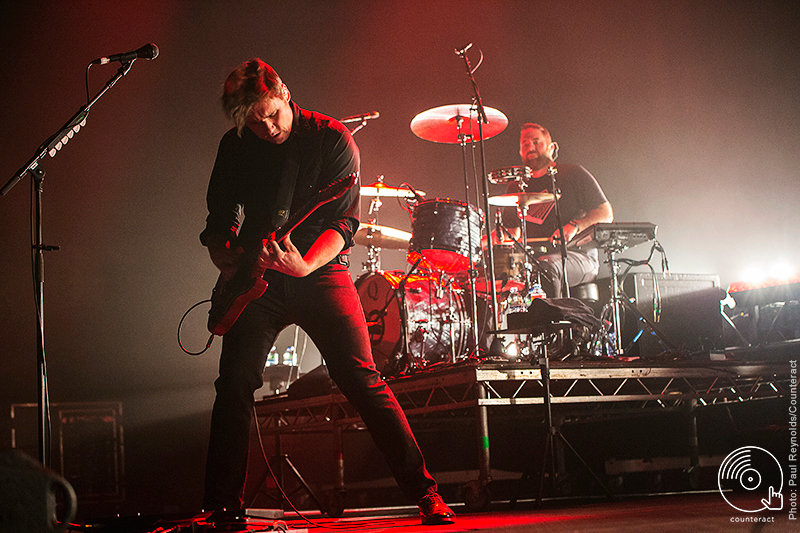 Jimmy Eat World performed a mixture of both older songs and newer ones such as ‘Love, Never’, ‘Bleed American’ and power ballad ‘Hear You Me’ with a great amount of energy and power. A frenetic performance was given throughout their set and ending it, Adkins, sang the iconic and infamous ‘The Middle’. 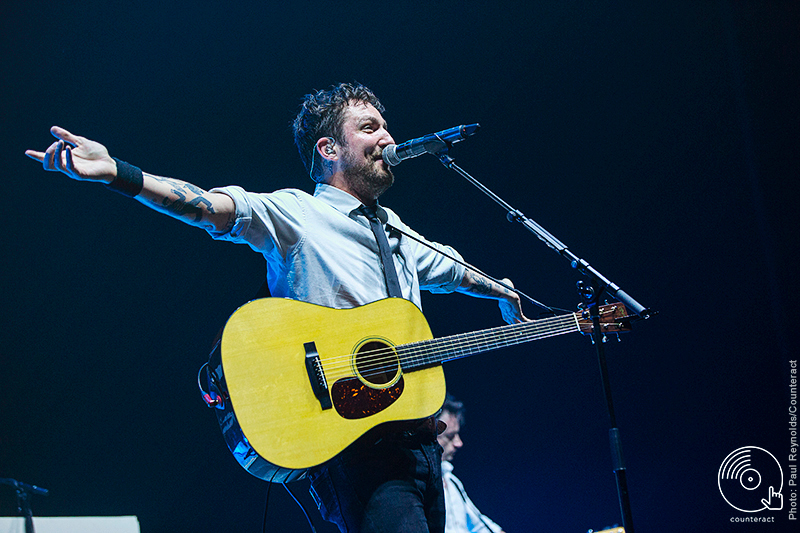 Armed with his trusted acoustic guitar and band the Sleeping Souls, Frank Turner was greeted onto the stage by flames of fire and a deafening applause. At what was supposedly his 2299th show, the arena was filled with not only quick strumming and catchy choruses but also ongoing brilliant visuals behind him. It is safe to say no member of the crowd remained motionless during this set as synonymous jumping was seen across, including those in the seated area. 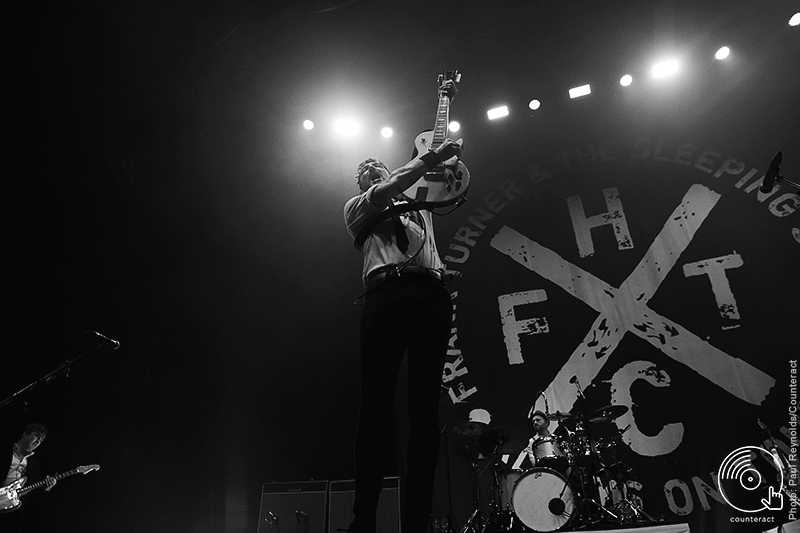 A circle pit to Frank Turner? Birmingham is full of surprises. Turner’s impressive hour and a half set was perfectly balanced between older songs such as ‘Glory Hallelujah’, ‘Recovery’ and new, like ‘Braveface’ and ‘1933’. The night included a lot of crowd participation, where Frank challenged the crowd to become Birmingham’s honorary gospel choir. They obviously obeyed. Grace Petrie again took to the stage to play a brief solo of the harmonica as Turner closed his main set with ‘I Still Believe’. The crowd weren’t quite yet finished as a stream of “We want more” chanting began and of course, Turner gave them exactly what they wanted. Illuminating the arena with torch lights from phones, Frank’s single ‘Be More Kind’ was received well and acted as a reminder that despite the world seeming a mess, we should all stick to this mantra of being more kind. Frank claims he might not be so good at dancing, but he’s a great performer nevertheless. Crowdsurfing, moshing in the pit and also dancing to ‘Those Four Words’ with a very lucky member of the crowd aren’t familiar acts you see at arena shows. A shimmer of fireworks and a burst of pink confetti signalled the end of the set, and a night that felt intimate despite the show’s scale.